Fair warning: I’m going to talk and reveal plenty of spoilers. So really, if you want to go into Marvel’s massive event completely blind and without any knowledge of what to expect, stop reading right now. Go play with this Cosmic Cube instead, and put down the Infinity Gauntlet. there’s a good lad! 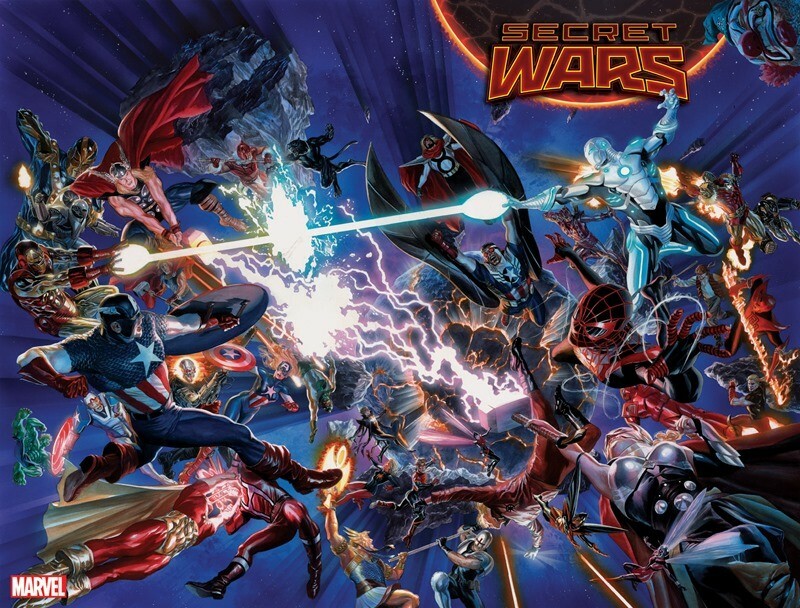 Now for the rest of you who are still here, lets talk Secret Wars! Quite simply: The end of everything. 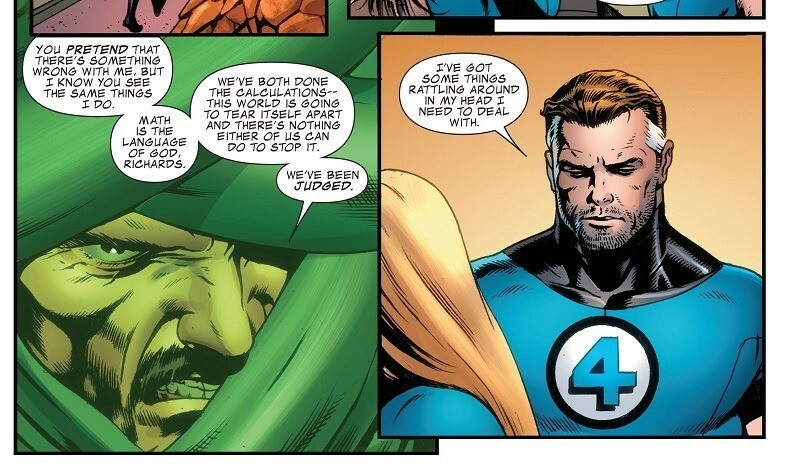 The Marvel universe has never been one singular reality from which stories were told. There was an entire multiverse out there, of worlds where characters and storylines had spun off in wild and crazy directions. On one Earth, Deadpool has killed every hero there is, while another reality has had to deal with super-powered zombies slaying all life in the universe. There were hundreds and thousands of these realities, all forming a great tapestry. 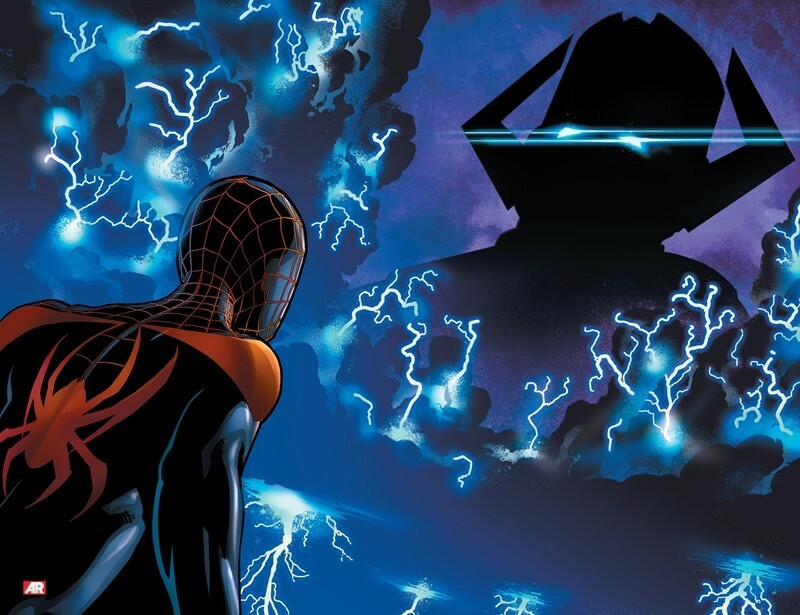 It’s a reality that the recent Spider-Verse event touched on, as multiple Spider-men, women and pigs banded together in an epic series in order to ensure their survival from the Inheritors, cosmic devourers who hungered for the totemic powers of the arachnid heroes. 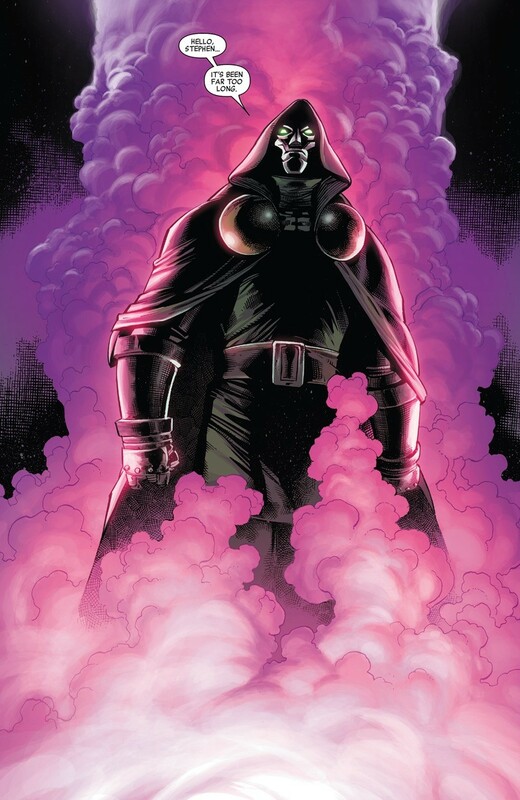 Using the enslaved powers of the Master Weaver, the Inheritors were able to rampage across the universe, wiping out scores of Spider-heroes along the way. But now, all of these realities are collapsing upon one another. In massive Incursion events, two universes will intersect with one another, with each Earth being a focal point. Should the two Earths collide, both universes will be wiped out. The only way to stop such an Incursion, is to destroy one of the Earths. Kill billions in order to save untold trillions. And that’s a terrible choice which had to be made by Marvel’s Illuminati (Mister Fantastic, Black Bolt, Namor, Black Panther, Dr Strange, Iron Man) as they were faced with no choice but to destroy these alternate planets. 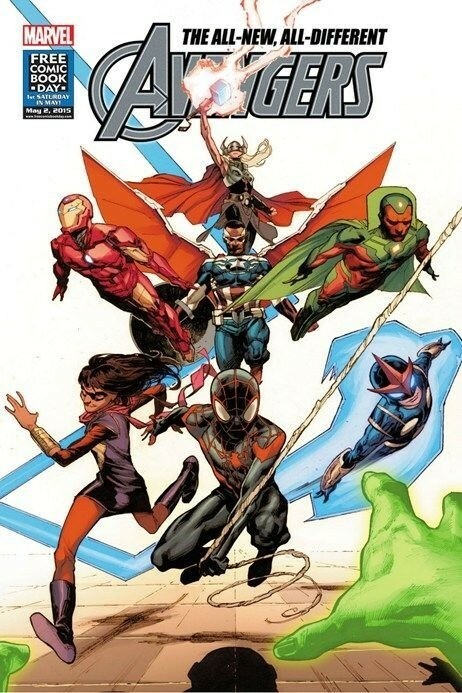 And now only two universes remain, the current Marvel 616 universe and the Ultimate universe, home to a more realistic and grounded take on the Marvel world. 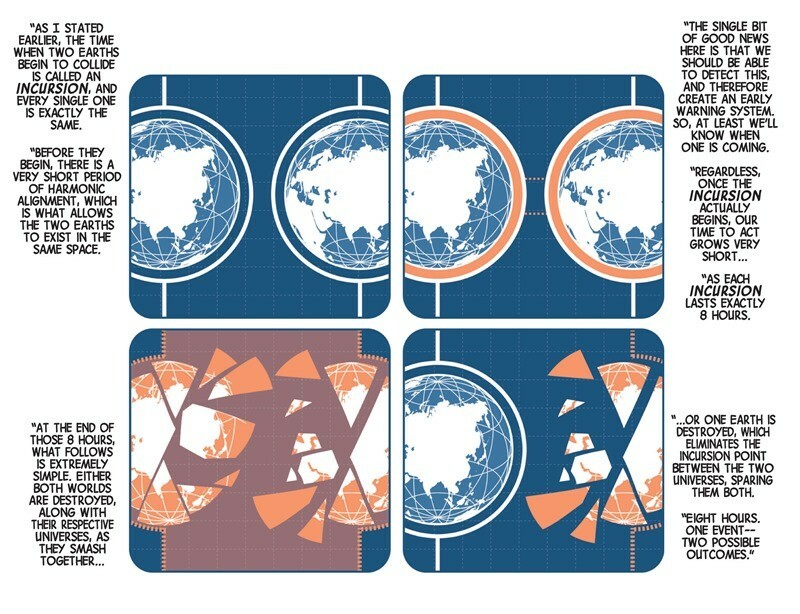 A new world has also been formed, Battleworld, that is a patchwork combination of various realities that have been forced to fight for their very survival. But once the dust has settled, only one reality will remain, and will form a new Marvel universe for the coming future. 41. 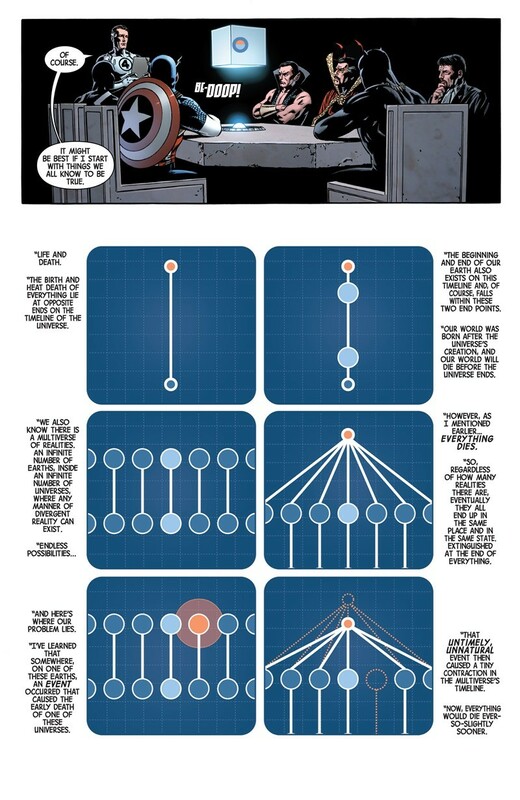 The Wall – S.H.I.E.L.D. 15 years ago, Marvel had a bold plan. They were going to relaunch several comics, and start from scratch in a separate imprint. And it worked. It freakin’ worked magic across the line that was known as Ultimate Marvel. Spider-Man was the first comic book out, with a younger Peter Parker once again finding his place in a dangerous new world. Then along came the X-Men and the Ultimates, gritty reboots that were widescreen blockbuster movies on the printed page. 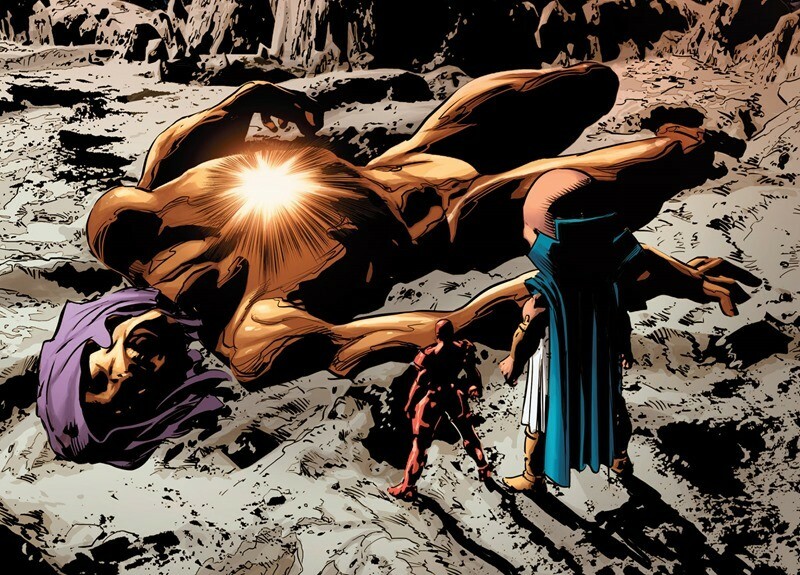 Hell, Captain America went toe to toe with the Hulk and managed to solidify his status as the biggest badass around by kicking the grey Goliath in the mini-Banners. But that was then, and right now, those comics are nowhere near as good as they used to be. Besides Ultimate Spider-Man which stars Miles Morales as a new webhead, sales were terrible and flagging with each month. It was time to cut that universe off and bury it with some decency at least. 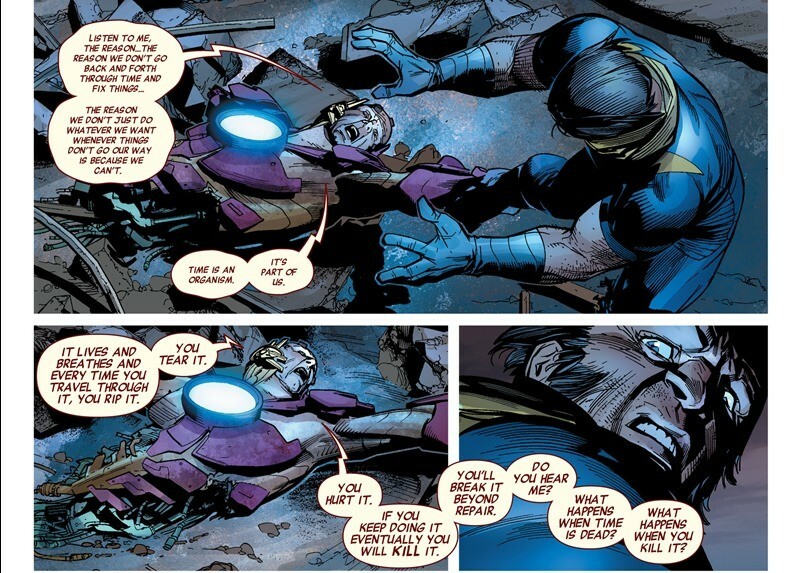 And that’s what Secret Wars will do this year. 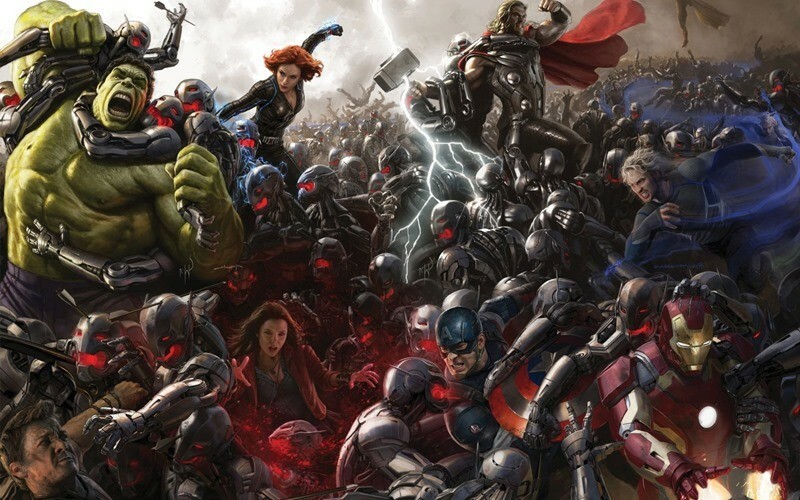 Here’s the thing: Marvel has a bright future ahead of them. And that’s thanks to the cinematic universe that top Hollywood talent has helped build up, beginning with Iron Man in 2008 and continuing with Captain America, Thor and the Avengers. That in turn, has had a cascading effect which has resulted in new toys, merchandise and animated series. In other words, it’s been pretty lucrative so far, and reignited interest in Marvel comics again. And Marvel wants to build on that. It’s a two-pronged approach really. On the one hand, they’re creating a new universe which hews closer to the cinematic side of the media assault. On the other hand, they’re creating a more diverse range of comics in order to lure in readers from various age groups and demographics, without it feeling unnaturally forced. That also gives the cinematic side of the company more material to work with, even if they don’t need it. And really, that’s what it’s all about. More readers, more fans, more sales and more heroes for everybody. And that’s a battle where everybody wins.